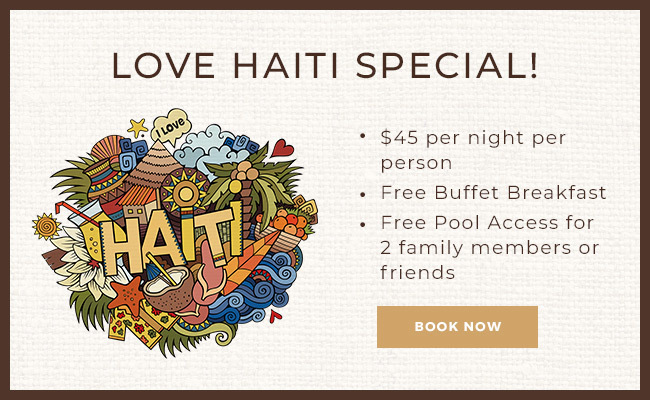 Le Plaza ("us", "we", or "our") operates the plazahaiti.com website (the "Service"). Le Plaza will also retain Usage Data for internal analysis purposes. Usage Data is generally retained for a shorter period of time, except when this data is used to strengthen the security or to improve the functionality of our Service, or we are legally obligated to retain this data for longer time periods. Under certain circumstances, Le Plaza may be required to disclose your Personal Data if required to do so by law or in response to valid requests by public authorities (e.g. a court or a government agency). Le Plaza aims to take reasonable steps to allow you to correct, amend, delete, or limit the use of your Personal Data. You have the right to data portability for the information you provide to Le Plaza You can request to obtain a copy of your Personal Data in a commonly used electronic format so that you can manage and move it. Located off the central town square it has good security and is the obvious expat place to stay. Nice garden breakfast area near a well received pool. Tranquil after the huddle and bustle outside. Rooms are clean, beds are very comfortable and the hot showers a blessing. We really enjoyed this property. The staff was very friendly and even went out of their way to accommodate us, by letting us check in early after flying all night. The atmosphere was very laid back just as most Haitians are. A very pleasant atmosphere and helpful staff greeted me upon arrival. Vladimir, who quickly handled my special requests, was especially helpful. I would definitely stay here again and would recommend this hotel for all travelers, whether on business or vacation. Great experience. All the staff was very helpful and the rooms were very clean. Vladimir and James were very supportive and helpful as well. The front desk and restaurant was high class. We will definitely be back. I really enjoyed the family atmosphere at Leplaza hotel . Every single staff was very nice courteous, helpful , professional from the security guards to the receptionists , the staffs at the bar and restaurant . I had the greatest times of my life because everyone make feels at home especially at the reception and the bar- restaurant . I strongly recommend Leplaza Hotel . My rooms were nicely cleaned daily . I want to go back soon because they made me feel special . I want to thank all the staff about their warm welcome .